Here you will find the latest news from JHNet. 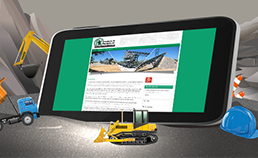 We will regularly post updates of the most recent developments in our industry. 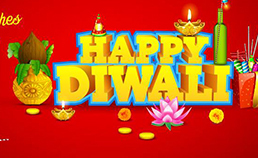 JHNet wishes all a Happy Diwali! 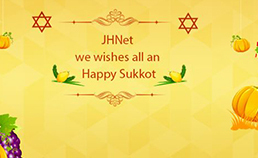 Blessings from the JHNet Team! 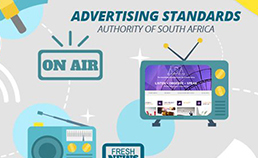 The Advertising Standards Authority of South Africa (ASASA) is an independent body, established and paid for by the marketing communications industry. It aims to ensure that its efficient system of self-regulation results in the best possible protection for both consumers and of the industry. 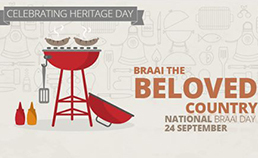 >View Advertising Standards Authority of South Africa portfolio. 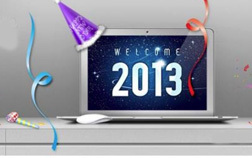 JHNet wishes all a happy new year! After this FREEEZING cold-front. 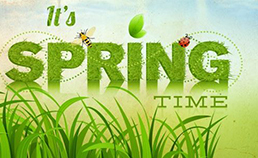 JHNet wishes all a wonderful spring month ahead. Looking forward to warmer weather. Have a happy women's day weekend! 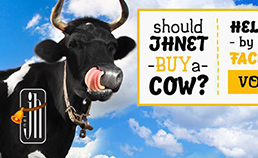 Should JHNet But a Cow? 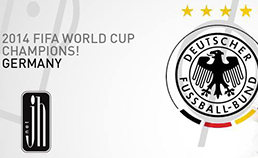 2014 fifa world cup champions! 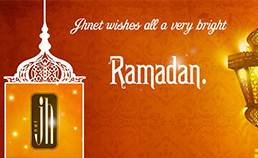 Jhnet wishes all a very bright and wonderful Ramadan! Amanda Apply are dealers period costume jewellery to accessories, vanity items, silver smalls and unique décor pieces and required a site befitting their vintage style. 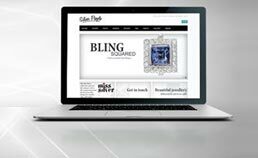 The site is equipped with a catalogue of their wares and an online shopping system. JHNet wishes all a Happy Father's Day and a great long weekend! JHNet wishes all nations the best of luck! 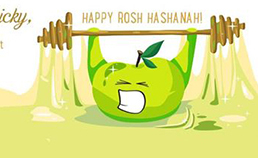 May you enjoy the GAMES! Crushers and Equipment International Ltd was established some 10 years ago to improve the service and competitiveness of its products to the already established customers in the African crushing and milling aspects of the quarrying and mining industry.Our main focus has been on the mill liner and crusher wear parts business, supplying steel, iron or rubber liners to all types of mills (Ball, Rod, SAG and AG) as well as all manganese wearing spares, bushes and bearings directly to our customers throughout Sub Saharan Africa and the Indian Ocen Islands. Dr.Organic utilises only the finest natural and organic raw materials wherever possible.We source accredited and certified organic ingredients from around the World including; Organic Aloe Vera certified under the Quality Certification Services US National Organic Program, this replaces the majority of water in products that are not oil based; organic essential oils certified by EcoCert Natural and Organic Cosmetics Standard and Soil Association Organic Health and Beauty Care Products Standard); emulsifiers, emollients and preservatives, certified by EcoCert Natural and Organic Cosmetics Standard are also ordinarily used in our products. 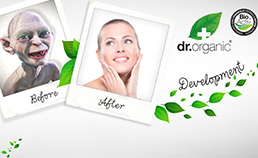 >View the Dr Organic portfolio. 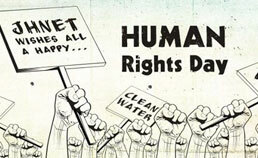 JHNet wishes all a happy Human Rights Day! 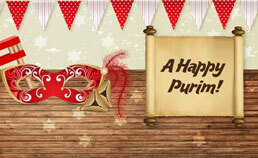 JHNet wishes all a happy Purim! 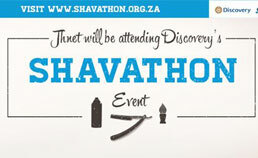 JHNet took part in Cansa's Shavathon 2014 hosted by Discovery. 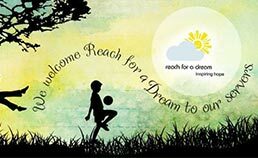 At Reach For A Dream every day is spent working with children between the ages of 3 and 18 who are fighting life-threatening illnesses. We strive to fulfill the dreams of these children across South Africa, who have been diagnosed with illnesses such as cancer, cystic fibrosis, heart conditions and renal failure, to name a few. 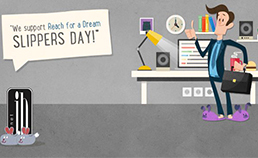 >View the Reach For a Dream Portfolio. 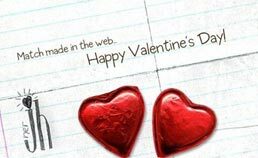 Match made in the web. 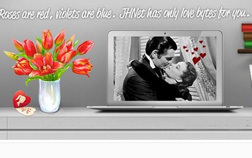 JHNet wishes you a lovely Valentine's day. Miwatek’s solutions for the treatment of waste water and other impacted waters from mines and industry address all of the known problems that are associated within the currently operating membrane plants. 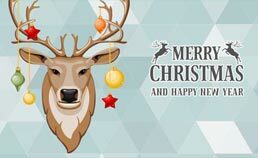 JHNet wishes you a merry Christmas. Always remembered, never forgotten. 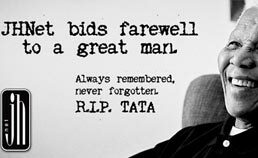 R.I.P Tata. 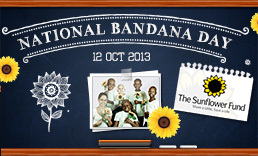 JHNet proudly supports the Sunflower Fund's National Bandana Day 2013. Silver People is an established retailer of silver jewellery and has been operating for the past 20 years.It offers an extensive collection of quality sterling silver products as well as a selection of leading watch brands. >View the Silver People portfolio. "Our products have been printed on Sappi Triple Green paper, providing assurance of a responsible manufacturing process. In addition to being produced from sustainable resources, Triple Green is recyclable and biodegradable. 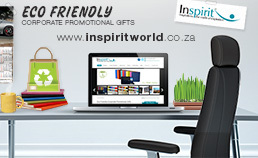 >View the Inspirit World portfolio. 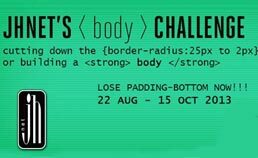 Wishing the JHNet Dev Team best of luck and may the best <body> win! Bakos Brothers Property has developed numerous high-end residential, commercial and retail projects. These properties have not only provided upmarket living and working spaces for a discerning clientele, but have enhanced the areas in which they are located and provided gains in asset value for their purchasers over the long term. 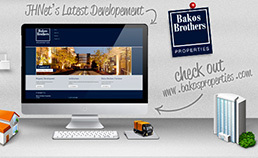 >View the Bakos Brothers Properties portfolio. 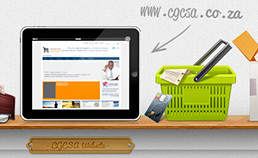 The Consumer Goods Council of South Africa (CGCSA) is a member organisation that acts as the representative body of the entire consumer goods industry. Established in 2002, we have more than 12 000 member companies, large and small, across the consumer goods value chain – including the retail, wholesale and manufacturing sectors. 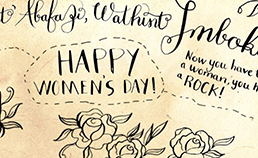 JHNet hopes all the women had a great woman's day weekend. 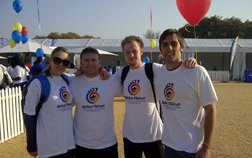 JHNet took part in this year's Discovery 702 Walk the Talk at Marks Park on the 28th of July. We had such a great time. 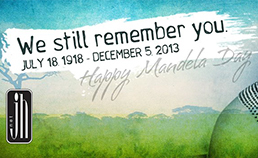 JHNet wishes Mandela a Happy Birthday. Corporate Dance Company is an entertainment dance and services company forming part of the Katz Productions brand alongside Katz’s School of Dance operating in Johannesburg, Cape Town and Durban. >View the Corporate Dance Company portfolio. 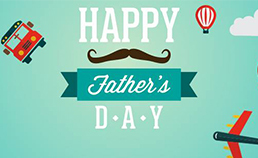 JHNet wishes you a happy father's day. The Tax Suite offering, enhances the current tax offering to SAICA members and extends the offerings to non-members as well on an annual subscription basis. 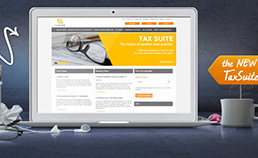 The Tax Suite is primarily but not solely aimed at tax practitioners..
>View the Tax suite portfolio. 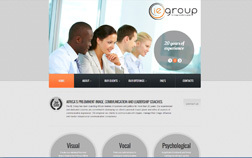 The IE Group evolved from Voice Excellence International and has more than 20 years of experience working with business leaders and their executive teams, both in Africa and abroad.Our approach is scientifically based, holistic and integrated, mobilising field experts around identified areas of growth, to achieve practical, behavioural outcomes. 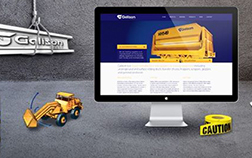 Galison is a major manufacturer and supplier of mining equipment including underground and surface rolling stock, transfer chutes, hoppers, scrapers, grizzlies and general steelwork. JHNet wishes all mothers a happy Mother's Day. The Safety Lab is an innovation hub and ‘test centre’ that aims to catalyse social innovation to develop effective, innovative, street-ready safety solutions. Through enquiry, insight and activation, the Lab challenges existing safety and security paradigms and brings a fresh, independent, fact-based perspective to complex issues. >View the Safety Lab portfolio. 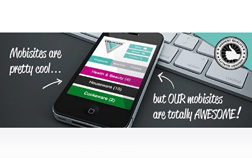 Mobisites are pretty cool...but OUR mobisites are totally awesome! 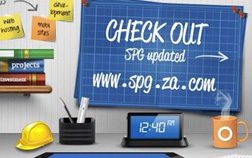 Check out the updated SPG site. 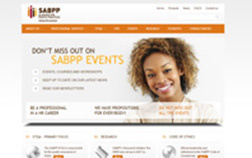 The Strategic Partners Group (SPG) is a broad based BEE company which under the leadership of its founding Executive Chairman, Mzolisi Diliza, was formed in 2002 by a group of 12 organizations and individuals representing the broad-based interests of a large spectrum of previously disadvantaged people. The Group was formed primarily to partner the Bombela Consortium which has a responsibility for the design, construction, commissioning, operation and maintenance of South Africa’s biggest ever legacy construction project, Gautrain Project. It was always intended that this company could and would be used as a vehicle to pursue other investment opportunities. 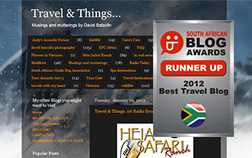 Jhnet Congratulates David Batzofin for winning the runner-up spot for Best Travel Blog from SA Blog Awards. > Visit David Batzofin's Blog. I've thought long and hard, and have decided on my New Year's resolution. 1024x768. 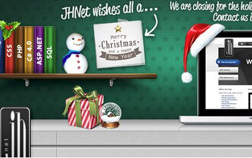 JHNet wishes you a merry Christmas - We are closing for the holidays because Santa also needs a website! 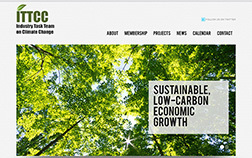 The Industry Task Team on Climate Change (ITTCC) is a voluntary, non-profit association established in December 2010. It was formed by a group of concerned industry representatives in order to address the call by the South African government for comment on the National Climate Change Response Policy (green paper), published by the Department of Environmental Affairs (DEA), and the Carbon Tax Discussion Paper, published by the National Treasury (NT). The SA Board for People Practices renewed their strategy and branding, creating a need for a new website. 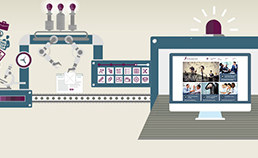 JHNet was commissioned to transform their old site's content into a fresh, more enticing look. The Consol Products Catalogue has been through a make over with a cleaner and fresher look. Check it out. 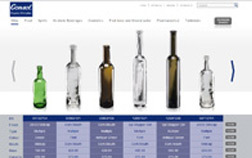 >View the Consol Products Catalogue portfolio. 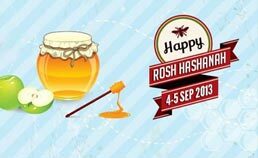 The Hatzolah website is a fully integrated donation system. 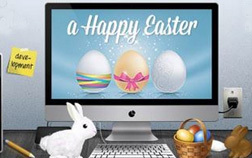 Users can donate by sending a once off donation or by sending their family and friends a fully customised themed e-card. >View Hatzolah Medical Rescue portfolio. 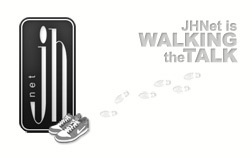 Once again the JHNet team participated in the Discovery Walk the Talk Event. 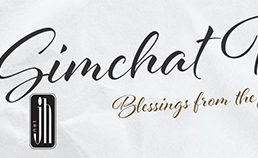 We were sponsored by the Afrika Tikkun charity. The Pan African Federation of Accountants is a non-profit organisation that aims to strengthen the accountancy profession in Africa and is composed of 37 professional accountancy organizations from 34 countries. And they new have a new website. > View the PAFA portfolio. Established in 1999, the Energy Intensive User Group of Southern Africa is a voluntary, non-profit association concerned around the ongoing shortfall of generation capacity, the security of supply crisis, the anticipated above inflation price rises and Energy Efficiency. JHNet is excited to introduce a new addition to the team: Katlego will be joining us as our new developer. JHNet's team grows again with the addition of Vicky, a graphic designer. JHNet is proud to have launched Elana Afrika's brand new website. Elana Afrika has been one of our favourite television and radio presenters for over a decade. Born and raised in Cape Town, she tucked her University of Stellenbosch Drama and Performing Arts degree into her bag and moved to Johannesburg ten years ago to test her talents. >View the Elana Afrika portfolio. JHnet web development have moved to a new location in Woodmead earlier this year.Follow the link below to browse the photos of our new offices. > Click here to see the photos. Amanda Appleby is an online store that specializes in antique jewellery.Their brand new site is in progress and is currently in BETA format so look out for it soon. JHNet was awarded the prestige of handling Elana Afrika's website.We are currently busy converting the old site from Flash to HTML. The site will also include Facebook integration where Elana's latest posts on Facebook will show immediately on her website. 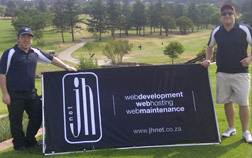 JHNet is proud to have launched the new Business Brief website. 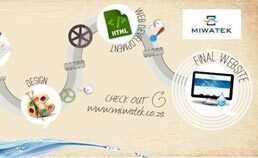 Business Brief is a portal where business decision makers can access all resources in South Africa that effect their decision making. 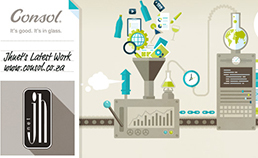 >View the Business Brief portfolio. > Click here to read more and view photos of the event. 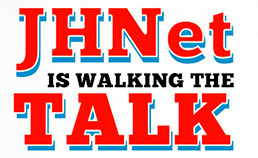 This year JHNet took part in Discovery Health's Walk the Talk initiative. 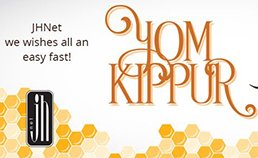 We sponsored the Afrika Tikkun charity. Afrika Tikkun is an NGO that provides education, health and social services to children, youth and their families through centres of excellence in South African Townships. >Click here to view photos of the event. With all the hype surrounding the unveiling of Google+, and how it might be the most promising contender to take the place of Facebook as social network of choice, it was only a matter of time before the big guns at the Facebook offices upped their game. >Read more about the upcoming announcement. We are feeling quite at home at our new offices, and recently completed a few upgrades to both our offices and equipment. We would love to you have you over for a visit. 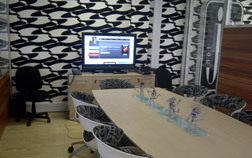 As of the 1st of April we have moved to our new offices in Woodmead. Please see our contact us page for a map. The redeveloped website for Eurocasa has finally gone live and you can vist it by clicking here. Coming from solid Italian origins but with an international reach, EuroCasa is a leader in top of the range furniture and kitchens, and is a spokesperson throughout South Africa for the values associated with the design and production of Italian-made goods. The Independant Regulatory Board Of Auditors have released the results of the 2010 Public Practice Examination. 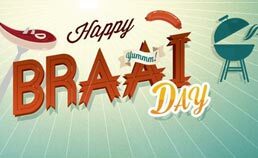 >The results can be found at www.irbalearning.co.za. World Leisure Holidays added a brand new resort to an already impressive array of holiday destinations. Long Beach is a new 5 star Mauritius resort that is opening in April 2011. They have fantastic opening specials, like receiving a 20% discount when booking and paying before 31 March. And you can get up to 22% cash back when you pay for your World Leisure Holidays getaway with your DiscoveryCard. 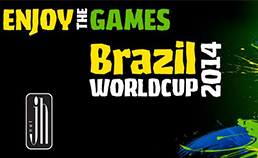 Visit www.ihavetogothere.co.za to enquire on this opening special, or visit the World Leisure Holidays website. Statucor provides company secretarial services and ensures that companies comply with all legislated requirements. 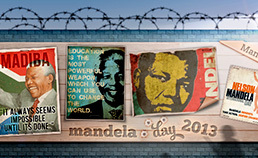 Please visit the Statucor website at www.statucor.co.za. The promotion was aimed at educating the public on Unilever products as well as how to save money, and the environment, by cooking with the Wonderbag. 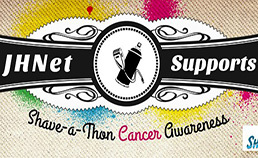 To learn more about this noble cause, visit the Natural Balance website. JHNet is pleased to announce that the development of the Investory International website has been completed and the website has been launched. For this and other international clients, successfull correspondence is done via e-mail, and conferences are held via Skype. Click here to visit the Investory International website. JHNet is currently in the process of developing a new website for one of our international clients - Investory International. If you have a great business idea, Investory International will help with the implementation and growth of your new business. They prepare the necessary documents that every investor, loan officer, banker or future business partner wishes to see. From business plan basics to billionaire pitches, they've done it all. Top Billing's presenter search is a nationwide competition where entrants stand the change in becoming the new face of Top Billing. World Leisure Holidays are proud to have added four new magical Mauritius resorts. Basespace is one-stop website solution comprising design, hosting and content management that ensures you get a fantastic website. JHNet have upgraded the SEO on the basespace CMS, the new features include the options to have a unique menu, article title, page title and crumbs tags. This functionality gives the user the ability to add more customisation to their site and increase the relevance of their content. This issue was raised by a few of our clients where they weren't able to control the information as it used the same info for more than 1 area. This upgrade now gives you a lot more functionality and features to control and enhance your site. Are you aware of and do you have time for all the statutory red tape? Statucor offers business administration and statutory responsibly services and will ensure that you comply with all legislated requirements. 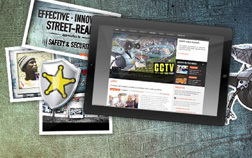 JHNet has been given the task of building the new Statucor website to go along with their revitalised brand. JHNet is responsible for database integration to Nielsen, who collects book information from over 70 countries and who works closely with the leading data providers in the US to ensure the most consistent and comprehensive global database of title records available. The AMS website will allow dynamic online searching, providing the local market the ability to order these professional publications specific their required areas of interest. Consol Glass recently launched their Consol health campaign which is aimed to inspire and educate their audience about healthy choices. Consol always emphasizes the need to save the environment by making green decisions, and by this campaign they are able to promote this creed whilst informing the public of the health benefits of glass containers.